As part of Emma’s efforts to spread the word, I’ve been seeing quite a lot of support from fellow bloggers. A lot of them have been rocking their crochet pieces so I’m sure you can already see how versatile these crochet pieces can be. Here’s another way to style a crochet dress. A little bit raw and undone–that’s what I was going for. I wanted to show you just how easy crochet dresses are, even when dressed down. It doesn’t always have to be bohemian or flower child-inspired, there are countless ways to style them! hello! I like your dress! love the outfit.. i fell in love with the shoes and very interested to buy one.. just wanted to ask if the Tutum shoes have good quality materials and can be trusted to last? kinda stars trucked here.. my fashionista icon just replied.. hehe tnk u ms camille! I love the way you ‘styled’ it. 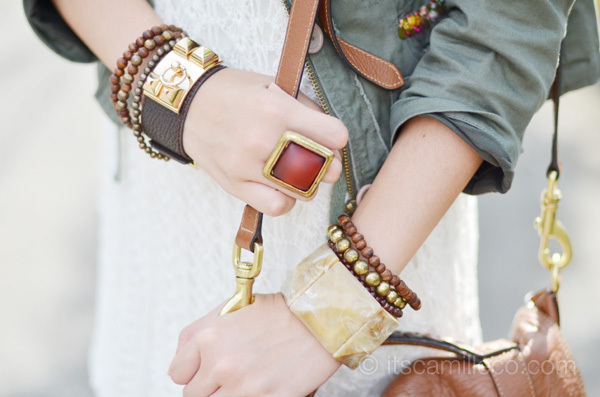 It’s so sophisticated and not the usual boho look with matching headbands & ripped shorts. haha. genius! I love this look! very laid back for you and those shoes are different too! you still look stunning even on flats, Camille! i just want to ask how did you buy through luvlicious? i really love the jacket and hopefully can get one too.. :) thanks. I got it from their branch in Sogo, Hong Kong :) Long time ago though! this outfit is my ideal one. haha. =)) I like it a lot. Hi camille! I love this crochet dress on you. It suits you well. What brand and shade of lipstick did you use? I love how your bag and shoes matches! And you still manage to look elegant even on flats! Love this look Ms. Camille! Awesome!! It has never came to my me that crotchet dresses can be paired like that! I usually do it with cardigan and ballerina flats which gets boring after awhile. Thank you for the tip Ms Camille! Hurray for fashion retailers that strive to help the underprivileged and the environment! ;) Love your shoes btw! Thank you Sophia! :) Hooray indeed! I love your bag!!! 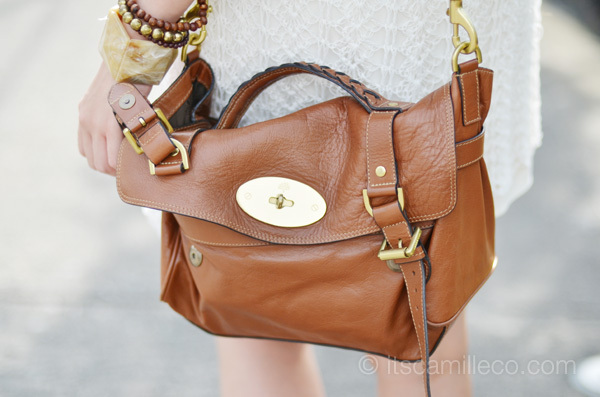 Is this the Mulberry Alexa? Such a gorgeous dress and I really love the story behind it. It’s so amazing when something like buying clothes can help those in need. And you look amazing doing it! This is rocking gorgeous chic! i love this. This is quite a treat. Seeing you dressed down and so casual… And yes, Ray-Ban Aviators would have won this over. And it’s nice to know that fashion houses helping directly under privileged families directly are still making breakthroughs apart from the usual headlines of sweat shops in Philippines, China and other 3rd world countries. Thank you Tia! :) I know how you feel! I knooooow! :( Thanks Vernice! Im digging the casual look! yes! bagay na bagay with aviator sunnies! sayang… but still, you are so pretty with or without the sunnies! 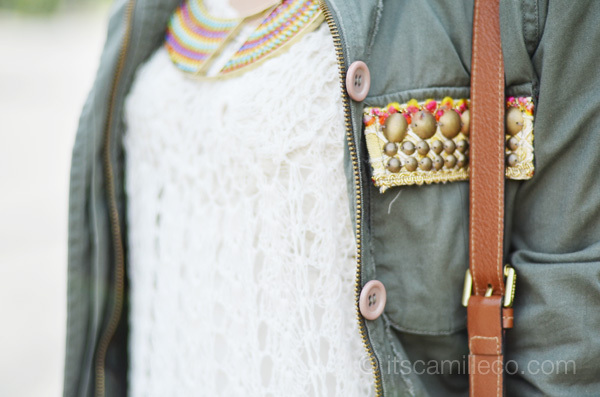 LOVE LOVE THE JACKET! how can I have something like that?? love the shoes too. your look punk. by the way, in your 2nd and 3rd photo, you look like Boom, one of the member of K-pop group 2ne1. Ate Camille, i have something for you. hehe. i edit some of your photos from your blog. wala po kasi akong magawa in our breaktime. Nahihiya akong ipakita sayo but kakapalan ko na po mukha ko. (^_^). i hope you like it po. One of my favorite outfits last few weeks. Beautiful colors and great climate of photos. Beautifull again, what’s say more? The bag matches shoes combination never fails. I want to steal them both from you. Plus the crochet dress. For how much does it costs? I’m crying out loud because of envy (in a positive way :p)! :)) I love everything. Most especially the boots ( i thought it was a brogue) and sling bag . oooh sayang nga! I can imagine it with your aviator sunnies! Is it Ray Ban? Love how you styled this dress. For me, you definitely wore that dress best!